Advertising on Twitter was posted on November 18th, 2013 at 11.13pm and is filed under Advertising, Social Media Marketing, Social Networks, Twitter.. Along with more online support for the UK and Irish SMEs wishing to dip their toes in Twitter’s ocean, the social network has announced it’s opening up its new self-service advertising platform to small and medium-sized businesses. 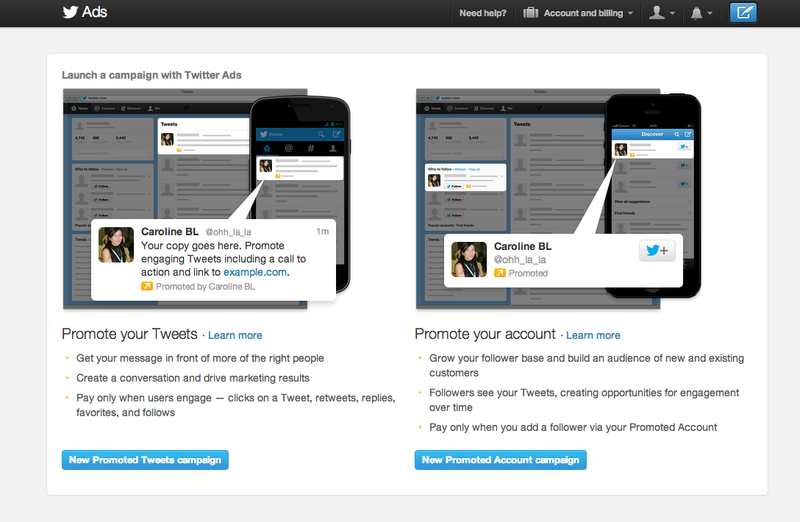 So now, as well as continuing to tweet, businesses across the country will be able to enjoy the benefit of Twitter ads. SMEs can choose between promoting their tweets or promoting their account. This first one is about getting your tweets in front of more of the right people – whether they’re based in Manchester, Manhattan or Montevideo. You pay only when users engage with your tweets through a mention, retweet or a click. The second option is about growing your account by attracting new followers i.e. prospects, influencers or stakeholders. In turn this creates opportunities for one to one conversations – opening doors to meet your sales and marketing objectives. Naturally you only get charged for followers that join you via the Promoted Account campaign. And there’s no doubt #FollowersMatter for SMEs. From brand advocates, to potential customers, their impact and support can make or break SMEs’ presence on Twitter. Whilst over the years we have recommended focusing on quality rather than quantity, a healthy follower base can work wonders and really take your business places. In fact to help understand the value of Twitter for SMEs, Twitter has asked Market Probe International to survey 500 people, in the US and UK, who currently follow SMEs on Twitter. And their findings speak for themselves. 82% are more likely to recommend an SME they follow to friends / family than before they followed it. What makes all this even more attractive is that Twitter is a true exponent of ‘lean’ thinking – all down to the maximum 140 characters approach. So it’s perfect for use on the move – on smartphones, ipads and tablets. And this is where all of the action is taking place. Twitter and handhelds have both come of age! With more and more handheld devices being launched, not to mention Twitter on Smart TVs, it’s an area not to be ignored by advertisers. Twitter gets you straight in there, wherever your audience is!